The Athens city center offers numerous options for leisure with a multitude of fancy or more typical restaurants, bars, clubs, concert halls etc. The heart of the Greek capital’s nightlife beats in the Athens city center, during the winter months in Psiri, Votanikos, Kolonaki, Gkazi, Thisio and around the Hilton Hotel. However, an equally bustling nightlife can be enjoyed in Piraeus, Glyfada and Kifisia, where visitors will find endless bars and bar-restaurants. Visitors will find a wide range of options for dining in Athens, such as International, Mediterranean and local cuisine, fancy, affordable, formal and relaxed. You name it! 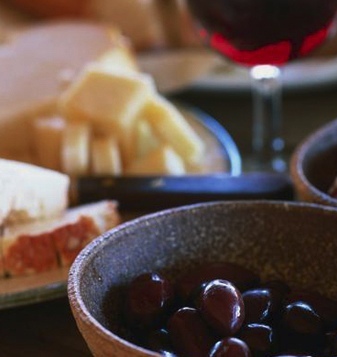 There are hundreds of restaurants in Athens, where you will enjoy excellent meals at the ambience of your choice. 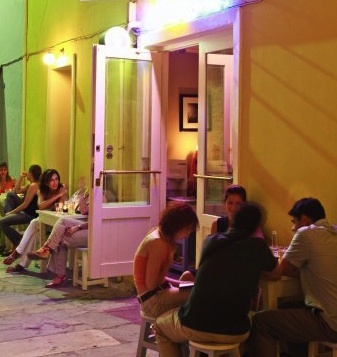 For the last 10 years the younger, and not only, Athenian crowds prefer the recently modernized areas of Gkazi, Psiri and Votanikos for their nightlife. All the above mentioned areas are located just few minutes away from the Athens city center. 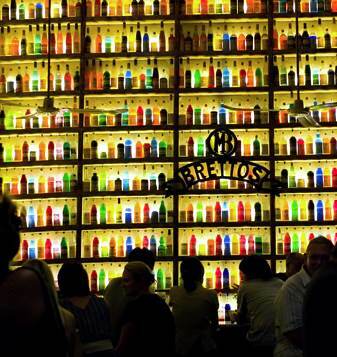 Visitors will find there many of the most known bars and restaurants in Athens, in the lower floors of beautiful neoclassical buildings, that remain open until the very small hours, especially during the summer months. Gkazi and Psiri can be easily accessed by Metro, which during the weekends remains open until 2am. 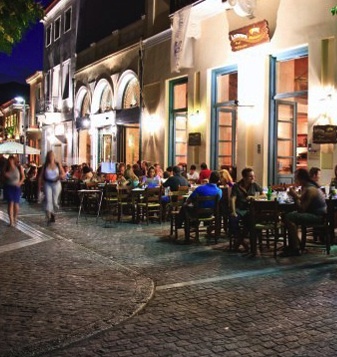 If you want to check out Psiri, you should get off at Monastiraki Station and wander in the narrow streets of this hip neighborhood and if you want to find yourself amongst the loud youngsters of Gkazi, you should get off at Keramikos Station. Kolonaki is one of the fanciest area of the Greek capital since it features most of the haute couture boutiques, the most renowned and selective bars and restaurants in Athens, offering an upscale touch in your nightlife choices. This is the most elegant part of the Athens city center. Dining in Athens has never been more fashionable! 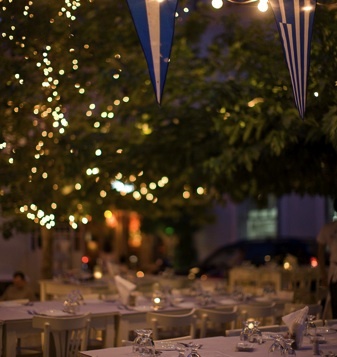 Dining in Athens is a real pleasure. 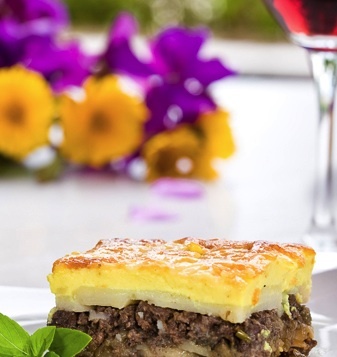 All the restaurants in Athens periodically host some of the most well known chefs, who create unique culinary dishes from the international, Mediterranean and Greek cuisine. There are many restaurants with Chinese, Polynesian, Japanese, German, Italian, Spanish and Arabic cuisine, scattered, not only in the Athens city center, but also in the nearby suburbs.